Two wireless lavalier solutions in one package. 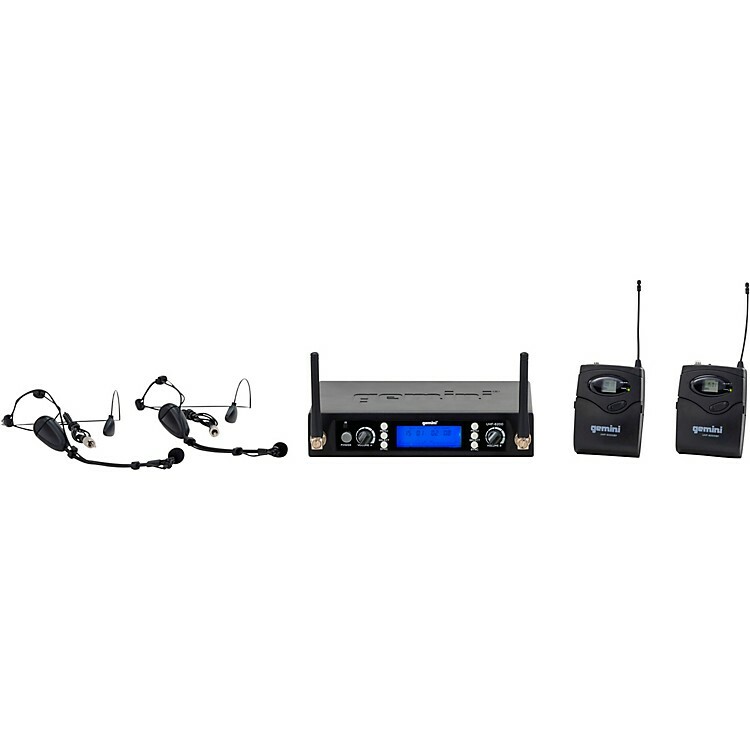 Gemini’s UHF-5200HL Dual Wireless Headset/Lavalier System provides clear, accurate vocal reproduction without the burden of cables, ensuring wired limitations never force you to sacrifice passion or energy during a performance. Ideal for DJs, presenters, fitness instructors, singers, MCs and anyone seeking a high-quality wireless headset or lavalier solution, the UHF-5200HL offers superior reliability, ultra-clear reception and an amazing amount of operating frequencies at a completely affordable price. Built to withstand the rigors of consistent use at events, meetings, auditoriums, fitness studios and houses of worship, the UHF-5200HL features robust dual 1156-channel UHF receivers with a range of 250 feet. Using Phase Locked Loop (PLL) circuitry to prevent phasing issues that plague other wireless systems, both receivers are housed in a single discreet enclosure with a front panel Power button. Each receiver has individual rotary Volume control, along with Group and Channel adjustments for setting the desired frequency. RF and AF LED indicators also let you monitor incoming signal strength, while balanced XLR and unbalanced ¼-inch outputs offer true connecting convenience. The unit even gives you the option to set your frequency manually or allow the receiver to automatically find an optimal frequency.